Wonderfully presented, detached, split level family home. Complete with an open plan lounge/diner, private veranda with hot tub, level gardens, garage and off road parking for a number of vehicles. Offering flexible living accommodation throughout with potential for a separate annex and located within close proximity to Plymstock School. 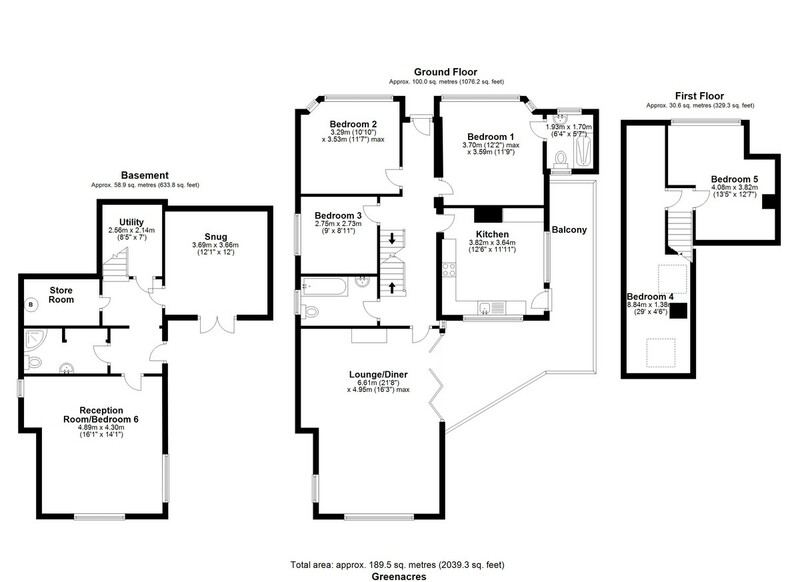 SUMMARY Wonderfully presented, detached, split level family home. Complete with an open plan lounge/diner, private veranda with hot tub, level gardens, garage and off road parking for a number of vehicles. Offering flexible living accommodation throughout with potential for a separate annex and located within close proximity to Plymstock School. LOCATION Plymstock has an abundance of local facilities, including a number of primary and secondary schools, library, a range of supermarkets plus The Broadway, which is home to a number of local and national businesses. Greenacres is a private road, which gives easy access to Billacombe Road, and is in close commuter distance to Plymouth City Centre and beyond. PL9 gives easy access to Plymouth and Devon’s coastline, and is in close commuter distance to Wembury Beach and local villages of Heybrook Bay and Wembury. DESCRIPTION Entering into the hallway via an uPVC door, the hallway has stairs down to the lower ground floor and stairs to the first floor, and leads through to the open plan lounge/diner, kitchen, family bathroom, and three of the five bedrooms. The hallway is tastefully decorated and has modern glass/stainless steel balustrade. The lounge/diner has triple aspect views, has a wood burner, is tastefully decorated, and has bi folding doors out onto the veranda. The kitchen has dual aspect views over the surrounding areas, with access out onto the veranda. There is a range of wall and base mounted units, with a roll top work surface over, with tile splashbacks, and integrated fridge, freezer and dishwasher. The master bedroom complete with en-suite is located at the front of the property. There is a bay window to the front elevation, with a door to the en-suite. The en-suite has a walk in shower, plus low level w/c and a hand wash basin,. There are windows to the front and rear elevation and is tiled from floor to ceiling, with a tiled floor complete with underfloor heating to finish. Bedroom two has a bay window to the front elevation and is tastefully decorated throughout. Bedroom three is a small double, with an elevated view over the surrounding area. The bathroom has been recently refurbished, with a panelled bath, low level w/c and a hand wash basin. The bathroom has been tastefully refurbished, and has a composite floor. Upstairs, you will find bedroom four and five. Bedroom four has two skylights to the side and rear elevation, plus storage space in the eaves. Bedroom five is currently being used as an office, and has a window to the front elevation. There is an electric fire, plus a veneer laminate floor and is a good size. On the lower ground floor, there is an opportunity to create a self-contained annex. At the rear of this level, there is a second reception room, which overlooks the gardens and is currently being used a cinema room. The cinema room opens into the hallway, which has access to the stairs up to the ground floor, a shower room, the utility room and to a garden room. The shower room has a walk in in shower, low level w/c, a hand wash basin, under floor heating and is tiled from floor to ceiling. The utility room houses the washing machine and tumble dryer, and is a great place for coats and shoes. The garden room overlooks the driveway accessed through French doors, and can be used as another bedroom. There is also access to a storage room, which houses the boiler and has a large opening under the house for additional storage. OUTSIDE Externally, the property has a private veranda, giving views across the surrounding areas. This veranda is accessed via the lounge/diner and the kitchen and has a glass balustrade and a hot tub. The front gardens are tiered and laid with decorative gravel and borders, with a pathway leading down to the rear gardens. There is a shed, plus the rear gardens are mainly laid to lawn, with a raised decked area. The rear gardens are westerly facing. The property also has parking for several cars, plus a garage. The garage has power and lighting, and an up and over door.